Fabulously landscaped home! Lovingly cared for-updated throughout. Paint, flooring, Kitchen-island & walk-in pantry. Split Formals-solid wood floors. Open Living-slate tile floors, stone fireplace. Master-updated Spa-Like bath & 2 walk-in closets. 2nd beds have walk-in closets. 4th bed could be great Media or Gameroom. Utility conveniently upstairs! More Features-updated hall bath, half bath down, recent roof & windows, sprinklered yard, zoned HVAC. 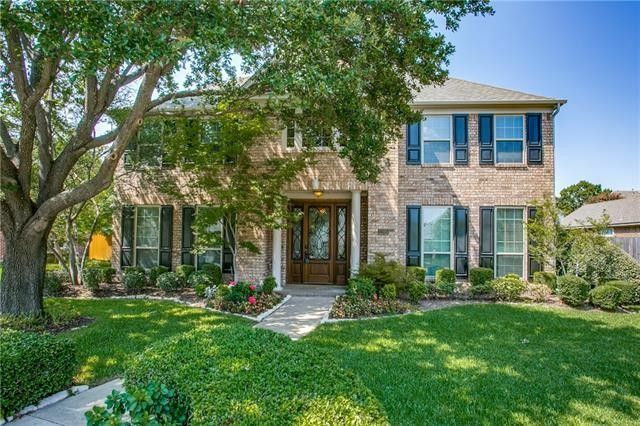 1 house away from entrance 2 Chisholm Trail-walking, biking & hiking that connects to Plano Senior Center, playgrounds, parks, library&schools. 1.6 miles to DART Station.Appliances Included! Large rooms could be hard to imagine furnished, so house is VIRTUALLY STAGED. Directions: From Park and Alma, travel North on Alma, to Orlando on the left. Turn left onto Orlando, by the entrance to Chisolm Trail, then turn N, right onto Millstream Drive. Go North 6 streets to Greenpark Drive, turn left and the house is down on the Right, near the Park area and entrance to Chisolm Trail.